We all know very well that photography is becoming a more important section in smartphones, hence, the tech giant Google has shown that, with a camera, they get the best results on a smartphone. 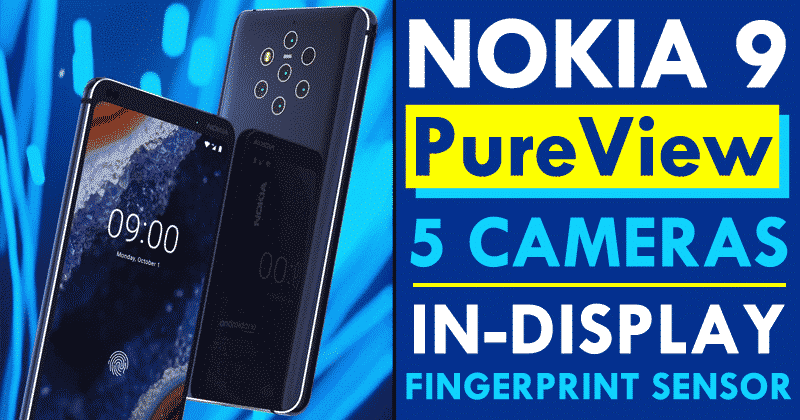 Now according to the latest reports the Finnish company Nokia’s, all-new Nokia 9 PureView to feature 5 rear cameras and leaked photo shows the design and features of the smartphone. For several months we are continuously seeing the rumor and leaks of a flagship smartphone of the well-known Finnish company Nokia. According to those leaks and rumors, the Finish company Nokia is preparing a new smartphone that would have five rear cameras. Yes, We all know that it is an interesting bet that at first seemed false, at that time a question appeared saying that “who needs five cameras in a smartphone?”. In addition to the race for foldable smartphones, the smartphone manufacturers also appear to be competing for the number of cameras also placed on a device. As the well-known Finnish company, Nokia’s PureView 9 is one of those competitors. It has been leaking some months ago and looks like it really will have five cameras as we told earlier. Now the information has arrived from the well-known media portal, of course, I am talking about the 91Mobiles, which claims to have obtained the official smartphone renders. According to the site, this will be the disclosure image used by the well-known Finnis company Nokia’s HMD Global after the launch of the smartphone. The material meets previous leaks and indicates that the cameras, the LED flash, and the autofocus module will be distributed in a circular fashion. There are no details on the function of each camera, but certainly, the smartphone would have main, ultra wide-angle and telephoto sensors. With curves on the sides, the rear area still shows the logos of Zeiss, the well-known maker of the lenses and Android One, which guarantees two years of the system upgrade. While the logo or branding of the Finnish company Nokia is also displayed on the front in the upper right corner of the screen, next to the camera for selfies and on the rear of the device as well. Apparently, the top edge of the Nokia 9 PureView, which also houses the speakerphone and other sensors, will be slightly thicker than the one recently presented by other companies. The image also indicates that the smartphone will offer fingerprint reader under the screen, a 5.99-inch screen with 18:9 resolution, Snapdragon 845 processor, 6GB of RAM and 128GB of internal storage. 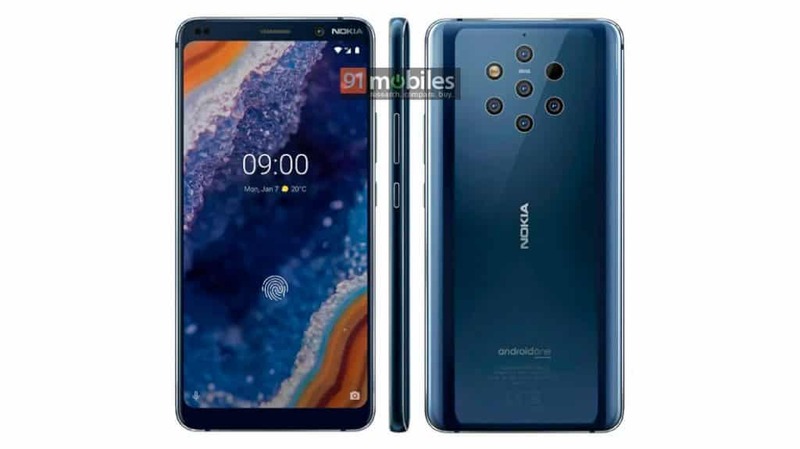 The all-new Nokia 9 PureView should be one of the highlights of MWC 2019, which will take place at the end of February in Barcelona. While if we talk about the price, then it is expected to arrive with a hefty price tag of Rs.57990. So, what do you think about this? Simply share all your views and thoughts in the comment section below.